'No one has written better or with more love of their subject, about the joy of food, its preparation and the sharing of that joy with one's fellows' - "Daily Telegraph". 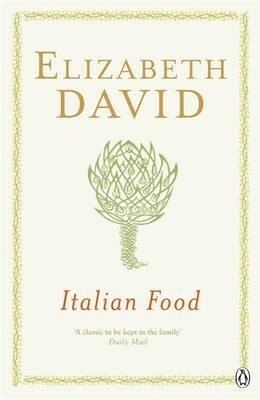 When "Italian Food" was first published, the sort of ingredients Elizabeth Davidwas writing about were almost unobtainable in England and many of the dishes unknown. Since then the English have undergone a revolution in their eating habits, due in no small part to Mrs David, and this book in particular has been an inspiration to a generation of cooks. In it, Mrs David conveys all the richness, colour and variety of a remarkable cooking tradition with the sparkling erudition and excitement that make her books unforgettable.